Chambord Raspberry Liqueur is a popular Liqueurs available from Waitrose Cellar in 20cl to buy online. Visit Waitrose Cellar for the best price for 20cl of Chambord Raspberry Liqueur or compare prices on our other Liqueurs products. Product of France Black Raspberry liqueur. 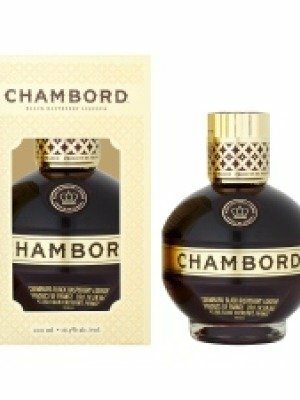 Chambord is an infusion of the world's finest raspberries, blackberries and the exotic flavors of black raspberries, black currant, Madagascar vanilla and cognac. According to legend, Chambord was inspired by a luxurious raspberry liqueur produced for King Louis XIV during his visit to Chateau Chambord in the 17th century. Today, Chambord continues to inspire cocktail and culinary creations around the world. Where to buy Chambord Raspberry Liqueur ? Chambord Raspberry Liqueur Supermarkets & Stockists. You can buy Chambord Raspberry Liqueur online in most retailers and find it in the Liqueurs aisle in supermarkets but we found the best deals online for Chambord Raspberry Liqueur in Waitrose Cellar, Tesco Groceries, TheDrinkShop, DrinkSupermarket.com, and others. Compare the current price of Chambord Raspberry Liqueur in 20cl size in the table of offers below. Simply click on the button to order Chambord Raspberry Liqueur online now.